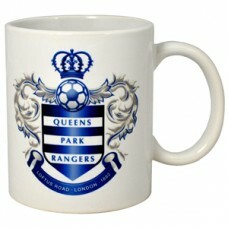 Queens Park Rangers Football Club is a professional English football club in White City, London that play in The Championship, the second tier of English football. Their honours include winning the League Cup in 1967, being runners-up in the old First Division in 1975–76 and reaching the final of the FA Cup in 1982, where they lost 1–0 to Tottenham Hotspur in a replay after they drew 1–1 in the initial final match. 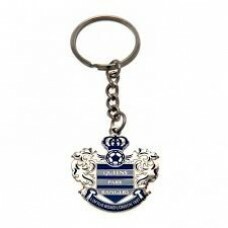 This QPR Keyring is an official product produced under licence for QPR Football Club and is an ide.. 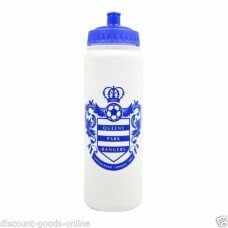 The Queens Park Rangers Water Bottle is drinks bottle white and blue in colour. It is made of plas.. 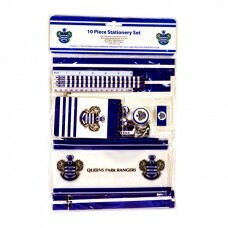 The QPR 10 Piece Stationery Set contains all that is needed for a school age QPR fan - 3 pencils, a ..
TheQueens Park Rangers Football Club Official Crested Ceramic Mug is white in colour featuring a l.. 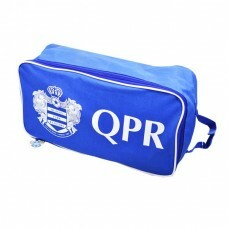 The Queens Park Rangers Shoe Bag is a zip-up shoe bag with a handle to carry. 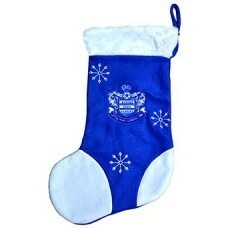 The Shoe Bag is blue/w.. 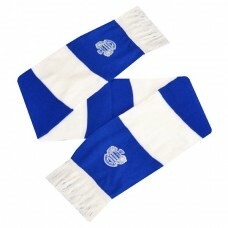 The Queens Park Rangers Bar Scarf is designed in the club colours blue and white. Its a 10 gauge sca..